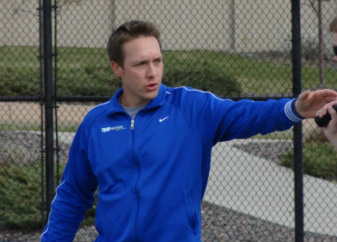 Ryan Segelke is the the CO-Founder & Director of High Altitude Tennis Academy in Colorado. Q: You clearly love the game of tennis… What is it that attracted you to the game? A: The self-accountability of it… If I lost, it was up to me to get back to the practice courts as soon as possible and improve; and if I won, I received all of the accolades. Because of this I really thrived, as frustrating as it was at times! Q: What drew you to coaching? A: I suppose I always knew that my late start in tennis would make it extremely difficult to become a successful professional player, so I began coaching early on. I loved, and still love, helping people get better on and off the court. There is something so intriguing about understanding each student’s personality and the nuances of what will get through to them effectively. What my true form of compensation has always been as a coach is seeing a student make a breakthough after the initial struggle; and most of all, when a student comes back after a number of years and lets you know that you made a difference for them. Q: What is the mission of High Altitude Tennis Academy and how has it evolved since its inception? A: The mission of the Academy is to put our students ahead of everything else. Our goal for each of our students is to utilize our “micro dynamic” tennis environment to teach each individual the life lessons that, when applied, will propel them to be tomorrows’ leaders and prolific contributors to society. Our staff is also expected to follow the standards set for our students. Otherwise, we become hypocrites. In the beginning, we knew we wanted the Academy to be focused on elite junior training but we were giving lessons to everyone… adults, kids, teams, professionals- completely unfocused. Looking back, we made a lot of mistakes, however, it has been fun to learn and improve. We narrowed our focus, and today we have only programs serving aspiring junior players. Q: You train coaches. You are taking steps to improve the level of training and education required for coaching, beginning with coaches employed by High Altitude Tennis. Many coaches are not looking to do more than receive the standard certifications. Do you think there will be a noticeable difference in junior athletes’ development and results? A: Yes. I love training young coaches, in particular those who are ready to make an impactful difference and are really a blank canvas. What is rewarding for me is to teach tennis myself, however what is most rewarding is to develop a proven success system, like we have at the Academy, and teach coaches who will then influence many more students. Q: You oversee player development. Is there a secret to developing successful players? A: (smiling) – Yes. Character development, hard work, straightforward and loving honesty (with students and parents), and consistent repetition are the “secrets”, if you can call it that. There is no place for frustration and anger. It takes a focused, substantive plan to develop a great player. Our coaches develop a minimum of 2 game plans per day, typed up and sent to the entire staff, for the last 4 years! Not ONE singe practice has been “winged” or planned on the “fly”. This process actually allows us to have the flexibility to adjust game plans to match the individual needs of our students. Q: High Altitude Tennis’ focus is more than winning trophies. Can you tell us more about why you would choose to partner with a non-profit? A: In many ways, what we envisioned the Academy to be has come to fruition. We are lucky to have learned so much and been open to the many valuable lessons presented to us so that we could adapt and make the appropriate changes for High Altitude Tennis to be successful. 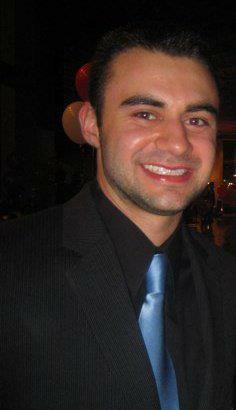 We know that we can make a much bigger difference partnered with a non-profit like The HAT FUND. First, we can accept students who do not currently have the means to afford an elite program like ours. It is extremely important to make this great game available to all young athletes who wish to play. Second, The HAT FUND has a network of incredible organizations providing not only industry leading athletic training like High Altitude Tennis Academy, but also educational resources like Growing Champions for Life, The Princeton Review, and Laurel Springs School allowing our students access to resources that will help them become great athletes, great students and most importantly great people. Here’s Monday Mental Tip from our Expert Ed Tseng- K – A = 0 (Knowledge minus Action equals Nothing). How many of you agreed to that?